Choose the size of the oval labels that you want to create. Click on customize to add your own text. What can these labels be used for? 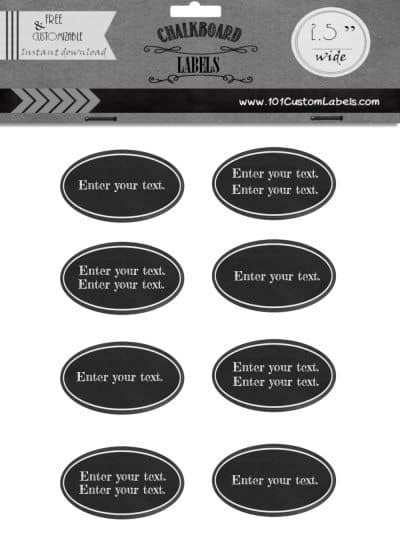 Can I use Avery Oval Labels? You can use our online label maker to customize an indivual oval label and then print it on Avery label paper. The oval template above would have to be adapted before it can be used. You can use sticker paper that has an entire page or sticker paper and not individual stickers. 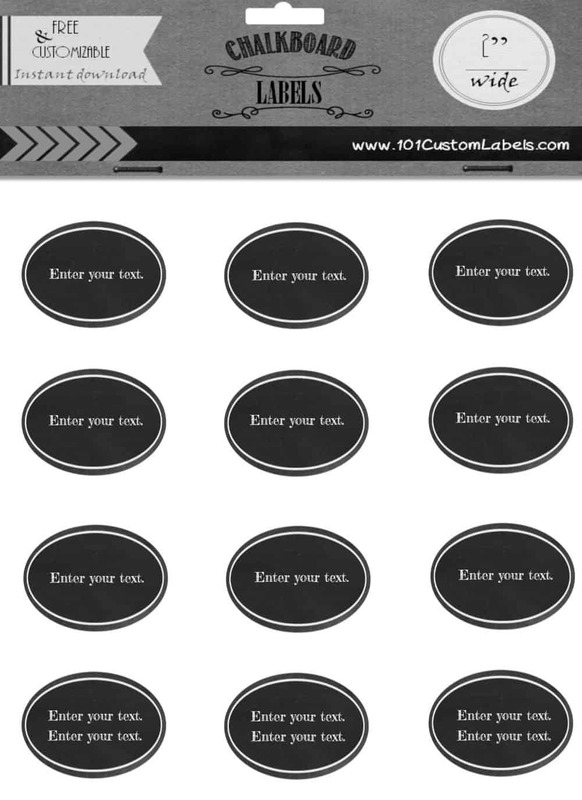 You can then cut out each sticker or label. This is an easy shape to cut and it shouldn’t take too long. You can also use regular printer paper and adhere with paper glue. 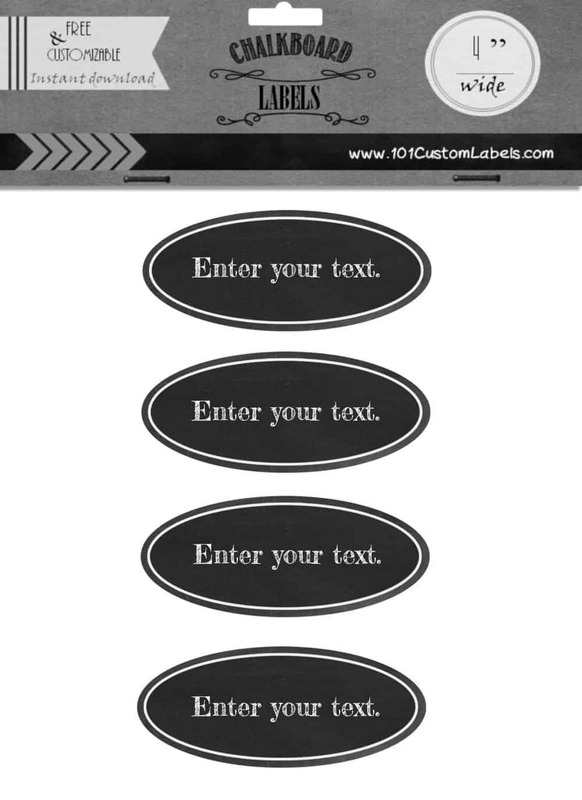 If you want the labels to be waterproof then use waterproof sticker paper and a laser printer. The ink on ink jet printers tends to run when wet. You can also laminate the labels before you use for a cheap long term solution. Can I add another line of text? Some of the labels have one line of text and others have two lines. You can make changes if you want. To erase a line of text just click on the little X on the bottom right hand corner. To add an additional line of text just click on “add text”. 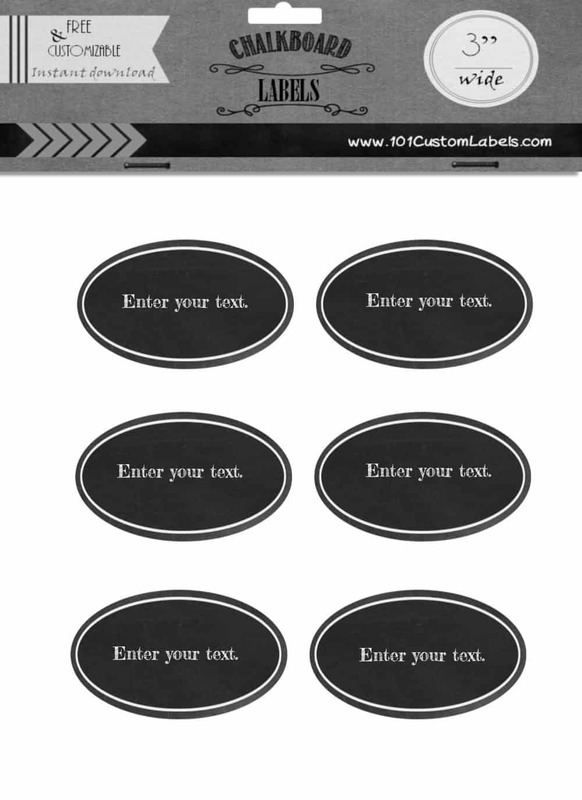 If the label template has two lines of text and you only use one you will need to erase the dummy text else it will appear on your label. Do you have other shapes? 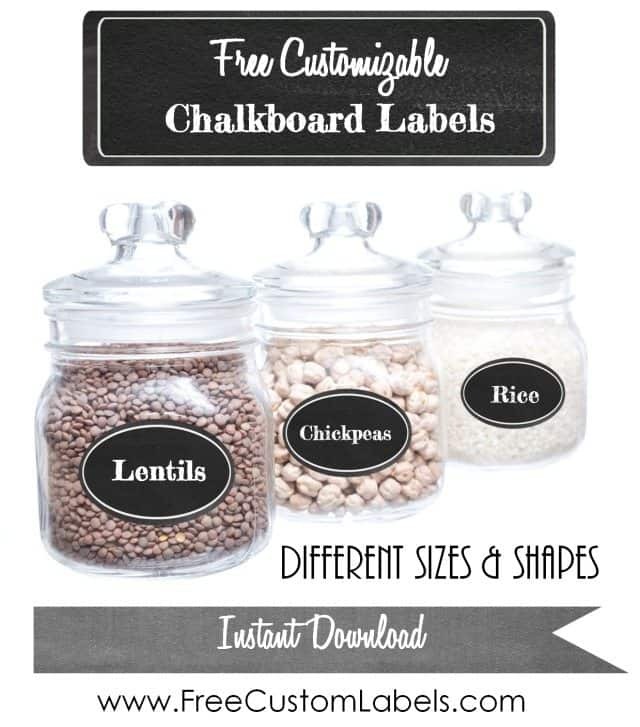 There are many chalkboard labels on this site in many sizes and shapes.